Dr. Samet brings extensive knowledge and experience to the fields of naturopathy and homeopathy. Naturopathic Medicine is a unique and comprehensive approach to improving health and addressing illness. Focusing on prevention and using natural approaches, naturopathic doctors (ND's) support and stimulate the body's ability to heal itself. The primary goal of naturopathic treatment is to address the cause of illness, rather than simply treat or suppress symptoms. The patient is seen as a whole person and the ND takes the physical, mental, emotional and spiritual dimensions into account when making an assessment and developing strategies for recovery of health. The Healing Power of Nature (Vis Medicatrix Naturae): Naturopathic medicine recognizes an inherent self-healing process in the person that is ordered and intelligent. Naturopathic doctors act to identify and remove obstacles to healing and recovery and to facilitate and augment this inherent self-healing process. Identify and Address the Causes of Disease (Tolle Causam): The naturopathic doctor seeks to identify and address the underlying causes of illness, rather than merely palliate or suppress symptoms. First Do No Harm (Primum Non Nocere): The naturopathic doctor uses remedies that are non-toxic and naturally based which minimize the risk of harmful side effects. Since iatrogenic disease (medically induced disease from prescription drug interactions or medical error) is the fourth cause of death in North America, this point becomes particularly meaningful. Address the Whole Person: Naturopathic doctors address the whole person by taking into account individual physical, mental, emotional and spiritual factors. They do not address only the part of the person that is ill, but the whole being, taking into account all factors to improve the patient's health. Prevention: Naturopathic doctors emphasize prevention of disease by assessing risk factors, heredity and susceptibility to disease and recommending appropriate interventions in partnership with their patients to prevent illness. The goal of the naturopathic doctor is to understand the patient and all the factors which impact on his or her health. The ND will take an in-depth patient history. In addition, the information from a physical exam and laboratory tests may assist in making an assessment. A personal health plan will then be proposed to help facilitate the healing process. We treat people, not diseases. The training of an ND is very thorough. There are five accredited schools in North America which offer doctorate degrees in naturopathic medicine: Canadian College of Naturopathic Medicine (Toronto), Bastyr University (Seattle), National College of Naturopathic Medicine (Portland, OR), Southwest College of Naturopathic Medicine (Scottsdale), Bridgeport University (CT). ND's must have a minimum of three years of premedical studies at university, followed by four years at one of the above-recognized colleges of naturopathic medicine. The education encompasses basic medical sciences, naturopathic principles and therapeutics equaling on average 4500 hours of study, plus an additional 1500 hours of supervised clinical experience. In licensed provinces and states across North America, graduates must also pass rigorous standardized exams to qualify for practice. In Canada, ND's are regulated in BC, Manitoba, Ontario and Saskatchewan. Legislation is pending in Alberta and Nova Scotia. There are just over a dozen ND's who graduated from accredited schools practicing in Quebec and our association is working hard to obtain licensing here. Licensing is important because it defines who a naturopathic doctor is by specifying the types of training required to merit the title and also the scope of practice we are entitled to. Currently in the province of Quebec as a result of the lack of legislation, any practitioner is allowed to call themselves by any title, with no standard or supervisory board differentiating those who have a four-year medical training from those that have completed a weekend course in naturopathy. This is unfortunate for the patient who may not be savvy enough to ask these pertinent questions. The safety record for naturopathic medicine is excellent. This makes sense given the emphasis on non-toxic, natural source medicines and gentle, non-invasive treatments. Side effects are rare and ND's are knowledgeable about contraindications between naturopathic remedies and conventional medicines. Notably, less than 1% of ND's have been sued for malpractice versus about 20% of MD's. ND's are trained to recognize conditions outside their scope of practice and refer to other health professionals when appropriate. Naturopathic medicine has a lot of science behind it. Thousands of modern clinical studies have validated a variety of natural medicines used by ND's: Echinacea for the immune system and St. John's Wort for depression are just two examples. Homeopathy also has many studies behind it, which validate its effectiveness. It is important to note that since most naturopathic remedies are not patentable, manufacturers find little financial incentive to do costly scientific studies. Thus, funding from independent sources is essential for further scientific validation of naturopathic treatments. Naturopathic doctors are frequently covered by private health insurance. This is smart business for insurance companies as studies have shown that long term medical care costs are lower in patients who use preventative and alternative medicines versus conventional medicine. Dr. Samet graduated from the Southwest College of Naturopathic Medicine in 1998 and has been practicing in Montreal since then. She was born and raised in New York and for the first half of her professional life worked in marketing for Procter and Gamble. After ten years with them, in Cincinnati and then Japan, she had to face the fact that her side hobby of homeopathy and natural medicine had become far more interesting and satisfying to her than the work she was doing fifty or more hours per week. So, it was in her mid-thirties that she went back to school full time to become a naturopathic doctor. She's never looked back as the work she imagined doing is as wonderful and gratifying as she had hoped and she was able to find what she felt was missing in her previous career  accomplishing something of value. And what that is for her is to help people achieve a greater level of health. This represents truly meaningful work and a real source of passion and enthusiasm for her. Dr. Samet's practice attracts mostly women and children who have not been satisfied with their results using the conventional medical system. She sees mainly women with chronic diseases, including autoimmune diseases, menstrual and fertility problems, migraines, arthritis, fibromyalgia, multiple sclerosis, allergies, thyroid dysfunction, depression, chronic fatigue, inflammatory bowel disease. She also sees many children with eczema, allergies and asthma, a famous triad, as well as warts, behavioral and developmental disorders, chronic ear infections. Of the many different natural healing modalities Dr. Samet studied, she uses relatively few. Naturopathic doctors typically don't specialize in body systems or parts as conventional doctors do, but often in treatment modalities, such as herbal medicine or homeopathy, and develop their expertise there. 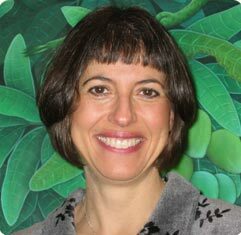 In her practice, Dr. Samet uses primarily homeopathy (see 'What is Homeopathy'), sometimes supported by nutritional or immune-boosting therapies and the Bowen Technique. The Bowen Technique, briefly, is a hands on therapy which uses a series of simple, gentle non-invasive moves done across muscle and connective tissue to stimulate energy flow empowering the body's own resources to heal itself. It is very effective at treating chronic effects of injury and other primarily musculoskeletal problems (for more info, visit www.bowtech.com). Dr. Samet has chosen to focus on homeopathy because in her experience it is the deepest healing modality available in that it does not just soothe or palliate symptoms but can actually stimulate the body to start to heal itself. This can seem quite miraculous when deep-seated or long-standing problems are actually eradicated as the body, under stimulation from the homeopathic remedy, starts to rebalance itself and regain its health. Most of the frustration with conventional medicine today is that although the drugs can take away many of the effects of a disease (pain, inflammation, etc), they don't actually effect the disease process itself. This is evidenced by the fact that people usually take drugs for chronic illness indefinitely, and even after say, twenty years, if they would go off the medicines, they would likely be in the same place they started or worse off. Frankly, this can also be true in the 'natural medicine' world, where supplements and herbs can help the symptoms but never seem to address the chronic susceptibility to a problem. Homeopathy has the potential to do this. Dr. Samet sees it daily in her practice. It is not easy to master the art of homeopathy. Actually, it is far more difficult to prescribe a good homeopathic remedy for someone than to write a prescription for prednisone or antibiotics, for example, or suggest a mixture of herbs or some vitamin supplements. While some relief may be experienced from any of these therapies, deep healing will not occur in any comparable way to what is experienced with the correct homeopathic prescription. This challenge comes in that we are prescribing for the individual, not for the disease. In the conventional world there is a drug protocol for the disease name that one has, but in the world of homeopathy, we prescribe on the individual's personal manifestation of the symptoms of the disease, not on the disease name itself. This is because we are treating people, not disease. What this means is that two people with the same disease, for example, rheumatoid arthritis, would likely get two completely different homeopathic prescriptions. This is because even though it is the same disease name, the type of pain, the location of the pain, the factors that influence the pain, etc., will most likely be different from one person to the next and these specifics are what the homeopath uses to prescribe on. Sometimes it is challenging for the patient to accurately express what they experience. Because people are complex beings, making a correct prescription may not always be achieved on the first attempt. The good news is, there are rarely any negative side effects with homeopathy, so it is worth being patient as the results from the correct remedy will be worth your wait. Due to the difficulty of mastering the art of homeopathy, it is imperative to find a practitioner who is well trained as a 'classical' homeopath. This is someone who takes a very thorough case at the initial interview, often lasting up to three hours for an adult with a chronic illness, and then proceeds to prescribe one remedy, not a mixture of remedies or alternating different remedies, that best matches the patient's total symptom picture. In this way, a successful result has the highest chance of being achieved. Dr. Samet has been studying homeopathy since 1989 and more formally since 1996. She considers herself fortunate that she has been trained by some of the best in the field. She has seen terrific results in her practice although she cannot say she has helped everyone who has walked through her door. Dr. Samet practices in a small private clinic with two other naturopathic doctors who also specialize in homeopathy. We hope you now have a complete overview of naturopathic medicine and homeopathy and a little bit of Dr. Samet's own background and interests. Choosing a naturopathic doctor to work in partnership with to improve your health is a worthwhile endeavor. If I can be of any further help, please feel free to contact me at (514) 279-6629. For more information about homeopathy, please visit The Canadian Academy of Homeopathy (CAH).